Hello! I'm a professional graphic designer with 20+ years experience in design, advertising & marketing. I spent many years as an Art Director/Designer in the entertainment industry. I love clean and simple design. I enjoy being surrounded by my horses, dogs, cats and rabbits – all creatures great and small! "I really like working with Sarah. Easy and she seems to read my mind! I love that." "I've had multiple designs from this artist. Always pleased. Creative and easy to work with. Excellent work!" "Wonderful, creative and easy to work with"
"Well done! Love the end result, and appreciate your responsiveness." "Fast, creative, easy to work with and talented!" "Outstanding work! 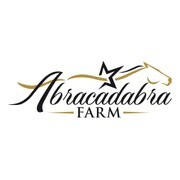 Sandra did an excellent job designing my logo and it was a pleasure working with her. Highly recommended!" 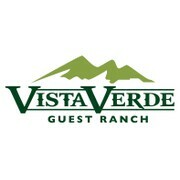 "Sandra is amazing to work with and has helped up evolve our logo to one that is clean, professional and eye catching. 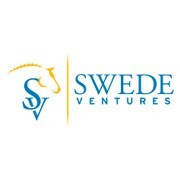 We receive so many compliments on our logo. " "Thank you so much again, for at very great job. We all love it :-) We are very satisfied, and you forfilled our expectations." 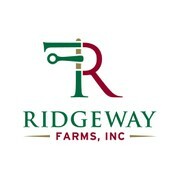 "Sandra was extremely patient and provided a lot of creativity and came up with a great design for our farm. It was easy to work with her. Her response time was very quick, regardless of whether it was a weekday or weekend. I am very happy with my log..."
"I am so happy about my very fitting logo! Pleasant communication and professional work - perfect!" "Perfect each and every time!" "Fantastic experience. Painted Pony Studios was perfect. 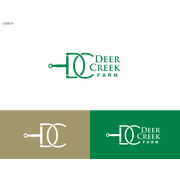 I got exactly what I was looking for (and also help in figuring out what that was) in logo, cards, letterhead, envelope, and email block, for a badly needed facelift for my law firm identity. T..."
"Sandra captured our vision perfectly. She was quick with minor revisions. 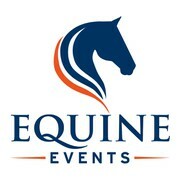 We love our new logo!" "Working with Sandra was great. 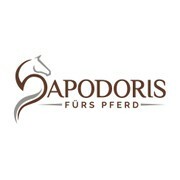 If you need a design related to horses I definitely recommend working with her. " 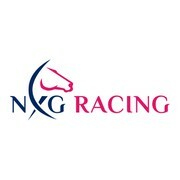 "We just love our new logo already have it put to use! Working with Painted Pony Studios was easy and effortless! would definitely use services again"
"I had Sandra complete a logo package for my company with a fairly straight set of guidelines. She was very accommodating to requests for edits, with quick response times. 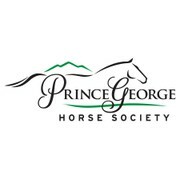 She was skilled at incorporating my design ideas and adding her professional opini..."
"Sandra at Painted Pony Studios was a pleasure to work with and delivered an elegant and memorable logo for my company. She was very attentive to what I wanted, completed revisions without a problem, and went beyond to offer me additional color choices. ..."
"Loved working with Painted Pony Studios. Easy to work with, great communication and fast turnaround. " "Absolutely love working with Painted Pony Studios!!! Sandra gets me completely and does GREAT work! Love her creativity. She goes above and beyond on every project! " "Sandra & Painted Pony Studios is AWESOME!! She created us a beautiful design that we are more than thrilled with. She was extremely professional and we will be using her for more design work in the future. Thank you so much for your effort, you are much..."
"As always Painted Pony was a pleasure to work with, fast responses and great feedback/advice"
"Great design in the end. I learnt that we had to have a pretty detailed brief to get an outcome we were happy with. 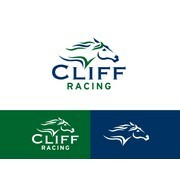 Great logo and happy with the result." "Produced exactly what I was looking for." "This designer's concept was outstanding! She really understood the target market and designed a phenomenal design to bring in exactly the type of customer we're looking for. Her artistic ability is excellent and she was very timely in responding and e..."
"Painted Pony Studios knew exactly what I wanted!!!! Her communication and changes where always FAST. She far exceeded my expectations in her design, our correspondence back and forth, and the logo package that I received from her!!! I would DEFINITEL..."
"Sandra was an absolute pleasure to work with. Designed us a fantastic logo. Would highly recommend!" 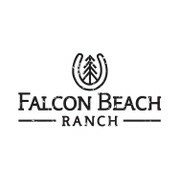 "She was very quick to respond to any requests that I had asked of her"
"We ran a logo contest for our ranch, and Painted Pony Studios was the first designer to understand what we were looking for. Sandra was prompt, professional, and patient with our many design changes and tweaks, and delivered well-packaged, comprehensi..."
"Sandra came up with an original "brand-look" logo that we fell in love with. Her originality continues to keep us coming back for our projects." "This is the first time I've used 99designs and will not hesitate to use them again. " "Great work. Easy to work with. " "Always prompt and professional. Thank you Sandra for making another project go so smoothly." "Excellent artist, intuitive, and understanding of customers needs. Fully recommend. " "Sandra is Great and fast and so talented!" 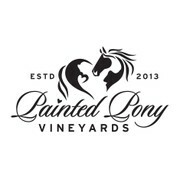 "As always, Painted Pony delivered an amazing logo for me! She is always prompt with service and creates a perfect vision from my thoughts. Thank you!" 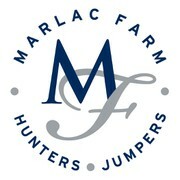 "Create logo for Hunting and Eventing equestrian stables"
"Amazing service again, nothing is a problem. Thanks again :)"
"Awesome! We had a hard time putting our design concept into words. At the beginning of the contest we had some really nice designs that we were happy with. 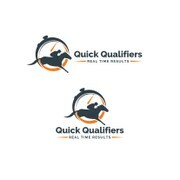 However, as soon as we saw Sandra’s logo designs we knew that was exactally what we were looking..."
"I run a horse photography business in Australia. I contacted Sandra about creating a logo for me and was quite specific on what I was after. I knew in my own head what I wanted but don't have the skills to create it! Sandra was my skills :) She knew exa..."
"This designer signed on three days into the competition, and without a doubt knew exactly what I was looking for! 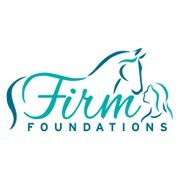 Sandra, immediately, visited my Facebook page, caught a glimpse of my Paint Horse, and created a logo almost to the exact markings of pain..."
"Fantastic! Captured the image I had in my head even though we have never met! I would highly recommend Painted Ponies Studios!" "Sandra at Painted Pony Studios did a fantastic job! She was able to hone in on what we at Azalea Horseshoeing were looking for and went above and beyond to make our vision a reality. She made this process smooth and easy to make all the right decisions...."
"Sandra was great to work with. I told her what I was looking for and she nailed it on the first attempt. Beautiful, simple, creative design and quick, professional service." "Got our vision on the first try!" "Once again, Sandra has delivered what I'd envisioned. It is always a pleasure to have her on the team. " "Sandra was great to work with. We can highly recommand her and we will most definitely get back to Sandra with our next projects. Great communication - great feebacks... All in all it was very professional. Thank you Sandra ! " 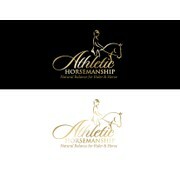 "With patience and care Painted Pony Studios designed a fabulous logo for my business. I highly recommend." "I have used Sandra's fantastic design and graphic skills numerous times now with outstanding results. I highly recommend her work." 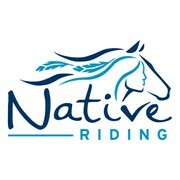 "I have worked with Painted Pony 3 times now, on 2 original logo projects and 1 revision and she is amazing! She nailed my last project on the first draft. Will always work with her on my design needs!" "She is WONDERFUL to work with. Very responsive and nailed what I needed to have done. I would hire again." "Sandra literally "read my mind" and came up with the perfect logo the first time around. Easy to work with (and she speaks English!!!). Thanks! " "I was very happy with all the logos that were submitted. " "What an amazing experience. From start to finish, I found Painted Pony Studios a pleasure to deal with. Sandra understood our brief, was very creative in her execution, very professional and unbelievably helpful. I could not rate my experience more high..."
"Love painted ponys creative work. I have a lot of ideas for my logos on what I want to achieve and painted has never let me done on achieving exactly what I'm looking for. 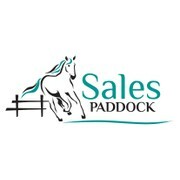 Amazingly quick responce to changes and ideas and easy to work with and convey yo..."
"Sandra had previously designed my brilliant company logo but I needed the tagline changed. As usual, Sandra's work was perfect and done within a day. Her professionalism is truly outstanding - highly recommended." "You did a good job. Thank you!" 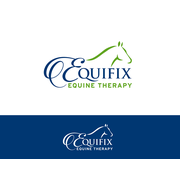 "Excellent logo design and wonderful service. " "Sandra was great to work with, this was my first experience with the competition and choosing a logo. Sandra worked efficiently and also gave us very useful advice and suggestions. 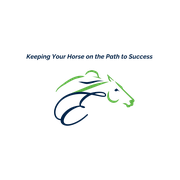 Our organization has a great logo to help launch our revitalization pro..."
"Painted Pony Studios were the BEST to work with from beginning to end. All phases of the process were handled very professionally and promptly. 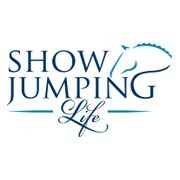 We couldn't be happier with the end result that perfectly captures our show jumpers. " 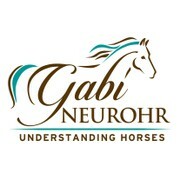 "Love the logo! Wonderful process for getting a great design." "Wonderful to work with, very responsive and she created a truly unique design for our project. I highly encourage you to work with Painted Pony Studios, you will be so pleased with your experience from start to finish." "Great job all around. I highly recommend Painted Pony Studios for all your design needs. " "Really enjoyed the designs...very cool"
"Great to work with! Quick!" "Excellent designer. Responds actively to feedback, and comes up with adjustments very fast. Would absolutely recommend this designer." "Sandra with Painted Pony Studios was a top notch designer to work with. First of all, I was struck by the very first design she submitted, then the subsequent designs just got better. Every suggestions we made she attempted to fulfill our desires. We..."
"Fantastic work.. Awesome design, created my vision perfectly and so fast and helpful throughout the process! Could not be happier..."
"SO SO great to work with! I'm a repeat customer of Painted Pony Studios and I will be again!" "Second project with Sandra. Another awesome job!" "Loved the logo from the beginning, only few changes and then it was perfect :)"
"Sandra was really great to work with and made a beautiful design for me"
"The best designer I've worked with yet, that's why I keep coming back. Well done Sandra." "Thank you for the excellent submissions. The work is very good and we look forward to using the design. 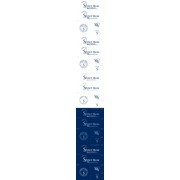 Designer was responsive and obviously researched our company to tailor the design to our needs, which we appreciate. 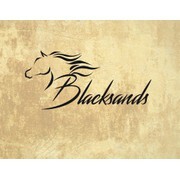 Will likely use this designer fo..."
"We were pleasantly surprised when Sandra put in her initial design of our logo. She captured the essence of our thoughts. After some revising she made our logo our own. If we ever need a designer again we would certainly will use Sandra again." "Great to work with. Excellent turn around time. Great sense of design "
"Great job, just like last time!" 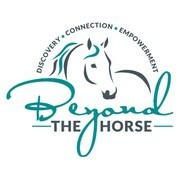 "I recently worked with Painted Pony Studios to create an outstanding, unique logo for my co-active coaching practice, Beyond the Horse. The designer worked overtime to help my vision come to fruition. Many options were given to for my consideration and ..."
"Sandra is such a pleasure to work with. Always responsive, she has met my needs on another project, once again. Thank you." "Sandra was great to work with, fantastic ideas and responded quickly to my requests. 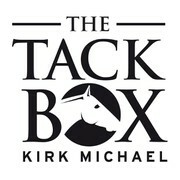 Very happy with my new logo." "She really understood what type of logo we were looking for. We are so happy with the final result!" "Working with Painted Pony Studios was a breeze. The interpretation of my brief was spot on and the result was a simple, modern design which I LOVE. Highly recommended. I would definitely use Painted Pony Studios again for future design needs." "Great service and great result :-)"
"Superb. What else is there to say really?" "Sandra goes above and beyond every time. " "Unbelievable. Could not be happier." "Outstanding yet again. Love working with Sandra and look forward to placing my next order." 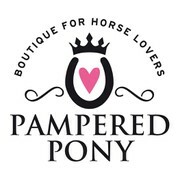 "Painted Pony Designs has been a pleasure to work with. Her design work was very professional with great attention to detail. She was in constant communication to ensure that the project is completed my exact needs. We already have a 1 on 1 project under..."
"Smooth and professional design. It was an exceptional experience and I could not be more pleased with the outcome. Thank you for all of your hard work,"
"Excellent designing of icons. Fantastic lady. Will most certainly use again and again. " "Great design, super responsive and fun to work with! Any time again!" "Simply put, it was an awesome experience working with Painted Pony Studios. 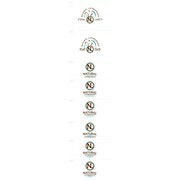 Solid communication and very helpful through all steps involved in constructing the proper logo. Much thanks. " "Sandra was a pleasure to work with! She was patient when we needed time to think about the design and always there when we needed her! She included literally every possible file type in the final files which is greatly appreciated. We'd gladly use her a..."
"Love my logo! Always get compliments on the design when I hand out my business cards." "Sandra did a very nice job accommodating my many changes. Thank you Sandra." "I was very satisfied working privately with my designer. This is the ONLY way I will ever work with 99 DESIGNS." "It was an absolute breeze working with Sandra, from Painted Ponies. 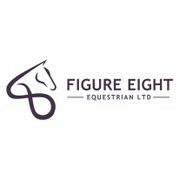 Sandra really understood what Figure Eight Equestrian was looking for right from the first design she submitted. Sandra was very open to feedback and kept the communication lines goin..."
"Thank you Sandra, another great design and the very best customer service." 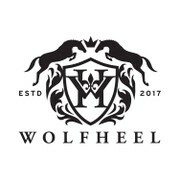 "This was our first experience of designing a logo, we really liked the initial concept from Sandra at Painted Pony Studios. Once selected as our finalist she couldn't have been more helpful. Communications were highly amenable and very prompt. Any chang..."
"Sandra @ Painted Pony Studios is Horsome!! She is supper efficient, a great designer, amazing to work with, really affordable, gives you everything you need and more. She knows what will work with the equestrian ordinance right from the start. I ran..."
"Absolutely awesome job! 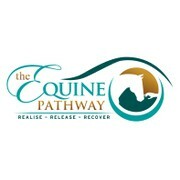 Sandra was so great to work with and was very open to our revisions and requests, she hit the nail on the head with our Equestrian logo. " 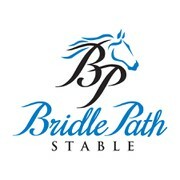 "Painted Pony Studios revised our logo and did a great job. The communication was very good and each refinement was made just like we pictured them. She always replied prompt. 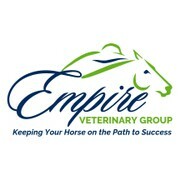 It was a pleasure to have her do our new logo." "She exited all my expectation .Thank You "
"It was very nice to work with Painted Pony Studios, she was very spot on with colours, shapes and any change I requested. She showed very good feel in working the creative brief and expressing everything in font, colors and shapes. 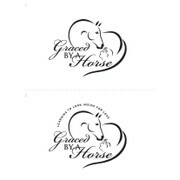 Great work, I am very..."
"We needed a design that was clean, crisp and attractive to both genders, and from youth to the elderly, for a horse / human healing and coaching business. Sandra picked up on the concept quickly and easily and her design was by far the favourite in all..."
"This is the second project that Sandra ,from Painted Pony Studios, has worked on with me. I sought her out for this project after she demonstrated her amazing design talents and her ability to quickly understand the client's vision. She was able to qui..."
"Fantastic Job! Was very quick, responsive, considerate of our tight deadline and easy to communicate ideas to. Would definitely re-hire!" "Creative and listens to the client, plus willing to adjust and alter based on feedback. 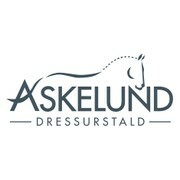 I would definitely recommend this designer!" "2nd time working with Sandra, she does awesome work and is very easy to work with. Highly recommended. Will use again." 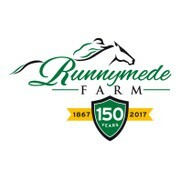 "We received over 180 entries for a new logo. Sandra at Painted Pony Studios nailed it with her first submission. She was very easy to work with. She is an extremely talented professional. I would be delighted to work with her again." "Great designs and very, very easy to work with! Will use in the future on other projects for sure!" 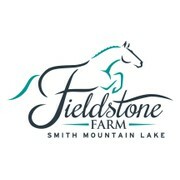 "Painted Pony Studios truly understood what we were looking for in a logo, and more importantly, worked with us through several rounds of revisions to settle on the precise versions that best represent our brand. We highly recommend Sandra for her vision..."
"Sandra from Painted Pony Studios came up with an amazing, original design off of my brief. It was beyond what I had envisioned. For someone starting out, Sandra was extremely helpful. Not only was she quick to submit any requests, she also had an eye fo..."
"I could not be happier with the result of my logo. Painted Pony Studio have been professional and friendly to work with and I highly recommend these guys for any design work! I will definitly go back to Painted Pony Studios for further work "
"I could not be more pleased with the design, it is everything that I asked for and more. Sandra was terrific to work with, she was able to take my random ideas and create more than expected, she was quick with updates and as pleasant as can be. I look..."
"I am so happy to have worked with Painted Pony Studios. My logo is everything I wanted it to be and more! 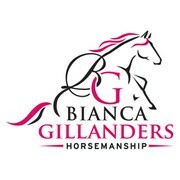 Thank you "
"Sandra created a logo for our equestrian business. 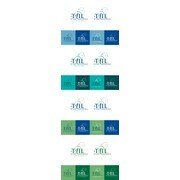 We received her initial logo ideas, which we found clean and elegant. Based on our feedback, she was able to transfer our suggestions to create the final winning design. Her communication was great thro..."
"Sandra was hands down the best designer that I worked with for our Logo. She was extremely professional, and willing to make a ton of tweaks to her original design to make sure we were able to get what we needed and wanted. She got in touch with in the ..."
"Creative, responsive and great to work with. She made the changes requested promptly and replied back in a timely manner. 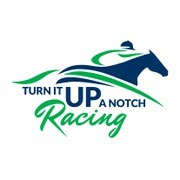 Thanks Painted Pony !" 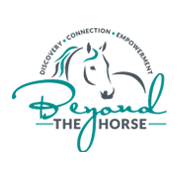 "If you are looking for someone who follows direction and delivers a logo you will absolutely love, Sandra at Painted Pony Studios is your girl! 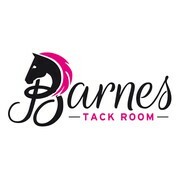 She was a pleasure to work with, answered all my questions in a timely fashion, and produced a logo we all fe..."
"I am happy to award Painted Pony Studios my winning vote - they totally got the brief and were very good about alterations and instructions from me." "Thank you so much for an outstanding winning logo for Cavvy Savvy. You were a great designer to work with and your design style is impressive. 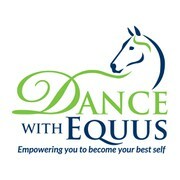 We are so thrilled with our logo. Thank you for your all of your hard work." "I love the design Painted Pony Studios created for my tshirt project. The designer understood the concept I wanted to convey perfectly. The artwork was delivered in a timely and professional manner. I would be happy to work with this designer again in t..."
"Sandra was fantastic to work with. 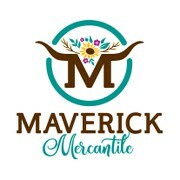 She created just what I was looking for in a logo! Sandra replied to all my comments promptly and even worked through the weekend to get my project just right. I will use her again! I can't say enough good!  If you're ..."
"Painted Pony Studios does exceptional work with a keen artistic eye and high quality deliverables..."
"This is my second design with Painted Pony Studios. As with the first, the design was very professionally done and the files I received were perfect for my intended use." "Painted Pony Studios have been incredible to work with. Our designer was on the ball all of the time giving us something unique and creative to go by. She went above and beyond our call of duty to get us an awesome logo. Definitely would love to work wi..."
"Painted Pony Studios has been fabulous to work with! From the very beginning of the competition the designs were professional and the designer really listened to the image I wanted and ideas I had. I have a crazy work schedule and even long after the co..."